Amy started diving in her homeland, the U.K. and she joined Sea Spirit as a Dive Master Candidate and grew into the role of main instructor in 2017. By now, Amy guided more than 100 people during PADI Discover Scuba Diving, PADI (Junior) Open Water Diver and PADI (Junior) Advanced Open Water Diver. 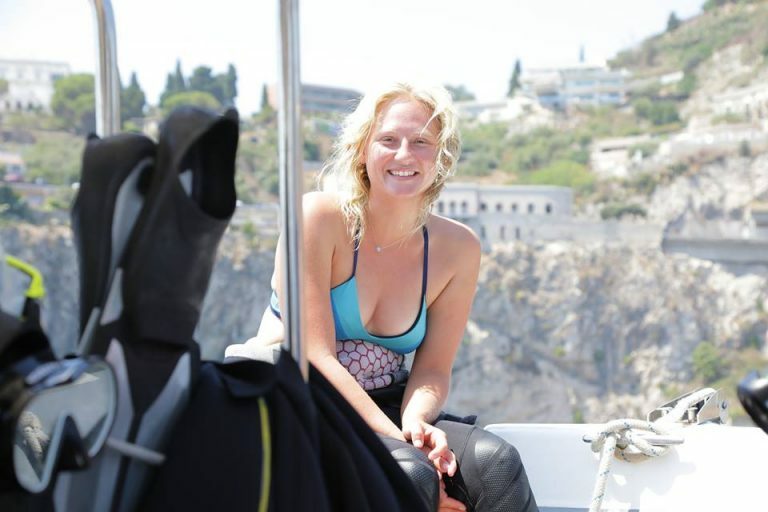 At Sea Spirit you will find Amy most of the time on one of our boats, teaching diving with all her enthusiasm and big smile.